How can you treat gum related problems? Periodontics is the dental specialty focusing exclusively in the inflammatory disease that destroys the gums and other supporting structures around the teeth. At Wassan Speciality Dental Center, our team specialises in the prevention, diagnosis, and treatment of periodontal, or disease, and in the placement of dental implants. If you believe you could benefit from periodontal disease treatment, then Wassan is the place to go. Our team of expert dentists can help you with a number of gum-related treatment services, such as deep root cleaning, dental implants and surgery. When gum disease is in the early stages, it is referred to as gingivitis, and it is relatively easy to treat. However, if the issue is not dealt with in a timely manner, then it can quickly escalate into periodontitis, which requires more invasive measures to treat. Our dentist can examine your dental health to determine the best treatment for you. At Wassan we encourage our patients to proactively work towards keeping dental complications at bay with regular check-up and practicing at-home good oral hygiene. This can greatly help in avoiding or reducing the effects of the plaque and tarter formation other gum-related problems such as bleeding gum, receding gums and gum diseases. For patients with extra gum tissues wanting to correct their gum line and shape to overall improve their smile aesthetics. We have soft tissue laser treatment, this helps our patients who want to remove extra gum tissue to improve their gum line. Laser can help in the removal of soft tissue in a very precise manner helping our patients really predict outcome even before the treatment is done! What is a gum disease? Gum related issues occur when good oral hygiene is not maintained, this leads to plaque build-up, which is a thin sticky layer of bacteria that accumulate on the teeth. Over time if not taken care of plaque will eventually irritate your gums causing redness with bleeding, swelling and soreness. If the condition worsens then the gums tend to move away from the teeth, opening gaps putting your teeth at greater risk for infection. If not treated, the bones, gums and the tissue supporting the teeth can be damaged, eventually causing tooth loss. In most cases plaque accumulation is the most common cause for gum- related issues, however sometimes it could also be due to hormonal changes, weakened immune system or even family history can a factor contributing to gum disease. It is also good to know that being cavity-free and having proactive oral hygiene still does not ensure you are that your gums are not prone to gum related diseases. This is primarily because gum disease is usually painless, and most people have no idea that their gums are having issues. Another important thing to note is research have shown globally upto 30% of the population could be genetically prone to gum disease. Other contributing factors to gum diseases could be use of tobacco, poor diet, and even stress. 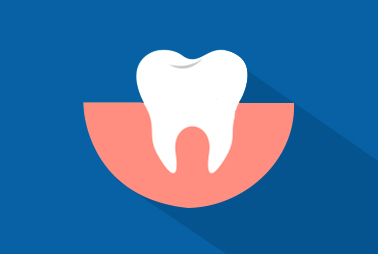 According to research conducted in the US, gum infections/disease is the #1 cause of adult tooth loss in the US. Gum disease are not to be considered as a trivial matter. Ideally in a healthy mouth the gums are meant to fit tightly over you teeth with slight gap between the teeth and it should not bleed while brushing and flossing.The problem occurs when the brush doesn’t reach the grooves or tiny spaces between the teeth and this can lead to plaque and tartar formation, allowing the bacteria to intrude into the gums. This is why it is recommended to visit your dentist once every 6 months for a professional clean. Your dentsit can help you removeany plaque and tartar formation, saving your gums from bleeding , becoming red and swollen. If not dealt at the right time the space/gaps can deepen, giving the bacteria more room for to attack your teeth and cause serious gum infection. This can cause bone loss to bone that is meant to support your teeth and even tooth loss. The most common is misconception most people have is that they believe having bleeding gums isn’t that a big problem. In fact,bleeding gum is a sign that your gums are under the attack by germs causing bleeding from the tissue around the teeth. It is usually caused by poor oral hygiene, medication, stress or genetics. The medical terminology bleeding gums is gingivitis and it is the first stage of gum disease along with bad breacth or swollen gums. It is normally a painless condition and hence there is a tendency for people to ignore it. Bleeding gums usually happen due to inadequate plaque removal and the easiet treatment for bleeding gums is prevention! If there is swelling of gums or regular bleeding while brushing, then it is important that you see the dentist immediately. The treament for bleeding gums will involve cleaning process called root planing and scaling and in some cases your dentist may also prescribe antibiotics to help fight infection. It is good to remember to practice good oral hygiene techinques like brushing and flossing twice a day, additionally also avoiding the use of tobaco and productsthat high in sugarand lastly visit to your dentist atleast once in six months. Follow these easy to do things and you can keep gums related problems at bay.